There was a time when a cinema package consisted of five or six reels of film, shipped out to each cinema individually and projected by a skilled technician. Thousands of individual prints had to be created and distributed around the world, a costly and time consuming exercise. Those of a certain age will remember films opening in the UK months after the US and watching scratched and filthy prints that had already spent months circulating around the States. Digital distribution has changed all that… thank God! We might hold a nostalgic place in our hearts for memories of projector beams piercing our local flea-pit’s smoky atmosphere and tramlines running down Han Solo’s face as we watched Star Wars for the tenth time but, in reality, we’re glad to see the back of film as projection medium.These days the majority of cinemas use digital projection and the result is that the distribution model for major film releases has changed beyond all recognition, with movies opening day and date with the US. It also means that, thanks to the digital source, cinema-goers are treated to a pristine presentation every time they sit down in their local theatre. The smoke has gone too of course, although that seems to have been replaced by something equally as annoying, the ethereal glow of a smartphone. Still the simple fact is that when it comes to going to the cinema we’ve never had it so good and this, in a large part, is thanks to companies like Deluxe. Cinema projection has never looked so good and this, in a large part, is thanks to companies like Deluxe. Deluxe Digital Cinema, to give them their full name, is the world’s leading theatrical versioning and distribution group. They have three core facilities in LA, London and Sydney, with smaller offices in New York, Toronto, Dubai, Madrid and Rome. They specialise in the creation and distribution of Digital Cinema Packages (DCP) for US Domestic and Worldwide foreign language releases. Deluxe kindly invited AVForums along to their London facility, which sits behind a nondescript door in a small street off Oxford Circus, to demonstrate how they create a DCP by specifically using X-Men: Days of Future Past as an example.The launch of the latest X-Men movie was a particular triumph for Deluxe, who had to provide a full range of mastering and distribution services on behalf of 20th Century Fox. The company only had 11 days to produce 137 unique feature version DCPs which were all mastered at their London facility – that equates to 12 versions per a day. To complicate matters X-Men: Days of Future Past was a global release with both 3D and Dolby Atmos, so it required 9 Dolby Atmos DCPs, 40 3D subtitled DCPs, 3,360 clones distributed to over 30 territories and Deluxe Connect digital deliveries across the UK, France and Denmark.So what exactly is a Digital Cinema Package? Well essentially a DCP is a set of files that make up a cinema presentation. They have replaced the old reels of film that were previously sent out to cinemas but they still mimic a traditional film print delivery. That’s because a DCP maintains many of the workflows and practises that have been used in the industry since its inception. As a result a DCP is composed of a number of source files – image, audio, enhanced audio (Atmos) and subtitles. A Digital Cinema Package (DCP) is a set of files that make up a cinema presentation. The image is comprised of 16-bit TIFF image files, with each file being a scan of a single frame of film using the XYZ colour space. The audio is composed of uncompressed individual stems for each channel and these are in the form of 24-bit, 48kHz PCM WAV files. If the soundtrack has been enhanced with Dolby Atmos then there is also an MXF file containing the beds and objects. Finally there are the subtitles which will either be 2D static timed text XMLs or 3D dynamic (animated) XML with PNGs.The process begins by creating a Digital Cinema Distribution Master (DCDM) and these days there are two main digital cinema aspect ratios – Flat and Scope. Flat is the digital version of the traditional 1.85:1 ratio that was introduced on 35mm film back in 1953 when the industry moved to three perforations per a frame to save film stock. Scope is the digital equivalent of the standard 2.35:1 anamorphic format used since 1970. In addition to the aspect ratio, there’s also the resolution and currently digital cinema uses two resolutions – 2K and 4K. The resolution is defined by the pixel count of the film scan, so for 2K it’s 1998 x 1080 for Flat and 2048 x 858 for Scope, whilst for 4K it’s 3996 x 2160 for Flat and 4096 x 1716 for Scope.The Digital Cinema Initiative (DCI) specifications use JPEG2000 to compress the 10mbs per a frame down to something a little more manageable. JPEG2000 was chosen partly because the standards were written back in 2000 but also because at the time it offered the ability to include multiple resolution representations of an image within a single file. Artefacts are reduced by the inclusion of the Discrete Wavlet Transform (DWT) which uses both high and low pass filtered downscaled images to create the final picture. The multiple resolution representation enables a 4K scan to be compressed in such a way that a 2K only playback system doesn’t have to down-sample a received 4K image, the decoder can simply just decode the first half of the file, resulting in a 2K image for projection. When it comes to 3D, different images are presented to the viewer’s left and right eye, creating an illusion of depth. The left and right images are played as an alternating stream – left, right, left, right etc. – and the cinema projection system then filters the images so that the viewer’s left eye only sees the images intended for it and the right eye sees the alternate frames. There are a number of different 3D systems, some such as RealD use circular polarised filters and others like Dolby use colour filters to project half the colour spectrum for each eye.When it comes to adding subtitles a 3D film like X-Men: Days of Future Past makes the process more complex than normal. With a 2D film the subtitles use timed text that run as a separate track in the DCP. The subtitle track is an XML formatted text document that defines the in/out times of each cue as well as the positioning of the subtitle relative to the projection area. Subtitles are usually bottom centre of the image but can be moved to avoid action or align with an onscreen text or locators being translated. However with a 3D film there will be action that appears in front of the screen (negative parallax) and if the subtitles are at the plane of the screen, they will appear embedded in the image which will quickly get uncomfortable to read.So for 3D movies Deluxe use dynamic subtitles that, in the mastering process, are supplied with an XML file which defines the time, position and depth of each subtitle. This is then used to burn PNG formatted images into the picture. The depth of the subtitles can be changed whilst it is on screen, so as to avoid embedding and keep them as close to the action as possible, making it easy to read without drawing the viewer away from the picture. For 3D movies subtitles are animated so their depth changes to match the action on the screen. All 3D subtitles are created using a 3D-OV (overlay) Map where all the cues are dynamically placed within the 3D image over the OV DCP background by a trained stereographer in a theatrical environment. It is a manual process that uses custom hardware and software with no automatic pass. The idea is to create 3D subtitles that are comfortable to read and not distracting to the audience. This process can take between one and three days and once complete the OV Z map is imported with custom software into a 2D subtitle supplied by the internal subtitling department.A stereographer reviews all the subtitle cues in a simulation suite and adjusts for language issues where cues differ from the OV map. The control files – XML and PNG – are exported and delivered to the relevant department for mastering. The entire process takes about one hour per a reel. For X-Men: Days of Future Past, dynamic/animated subtitles accounted for 30% of the subtitles during the film based upon 3D OV map placements. In total forty fully subtitled 3D DCP versions were created, along with nine dubbed 3D versions with localised stereoscopic subtitles.When it comes to audio there a total of 16 channels available, with channels 1 to 6 covering the standard 5.1 soundtrack and channels 11 and 12 adding the left and right rear surround channels for a 7.1 mix. Channel 7 is for the hearing impaired track, which emphasises dialogue over effects, and channel 8 is the audio descriptive track for the visually impaired. Finally track 13 is for the D-Box Motion Code and track 14 is for the Atmos Sync Track. For those that are interested in knowing more about Dolby Atmos, how the system works and how it delivers a more immersive audio experience, read our detailed Dolby Atmos article. The final picture and audio assets are wrapped as an MXF (Material Exchange Format) file, which is a platform agnostic professional media container for picture and audio elements. The file will contain the data and metadata which details key parameters of the elements within. 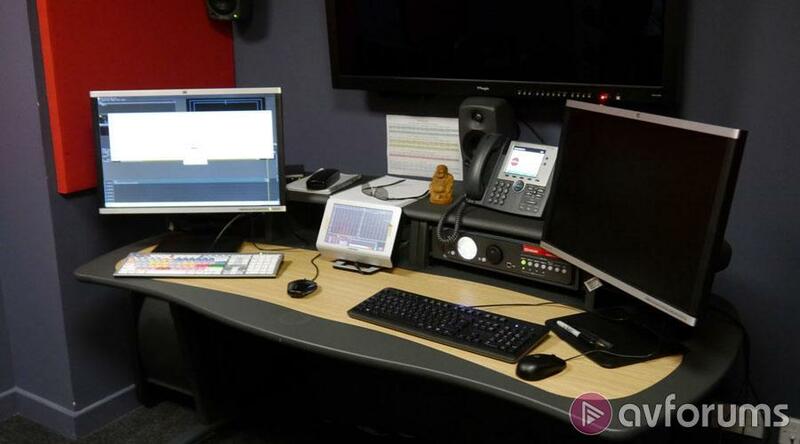 Such metadata can include frame rate, resolution, number of channels, length, sampling frequency, bit depth, format and language; whilst future developments will add subtitles for both 2D and 3D. Once wrapped the content is encrypted using AES (Advanced Encryption Standard) 128-bit encryption in CBC (Cipher Block Chaining) mode. This uses an XOR function of the previous block with each new block, meaning the encryption of each block is dependent on the previous ones, making it much harder to crack.Once the images, audio and subtitles have been created they need to be packaged to make them appropriate for exhibition in a cinema, this process is called mastering. After mastering the result is a Digital Cinema Package that is comprised of wrapped, encrypted MXF files containing picture and audio, subtitle XMLs (optionally) and in the case of an Atmos DCP, a third set of MXF files containing the Atmos track file. These MXF and XML files are managed and controlled by four system files – ASSETMAP (a list of the files contained in the package), PKL (the PacKing List), VOLINDEX (not used these days due to the size of modern hard drives) and CPL (Composition Play List which defines the start point and playback duration for each of the media assets).Prior to the theatrical QC (Quality Control) process, each DCP is put through Deluxe Digital’s in-house soft QC. 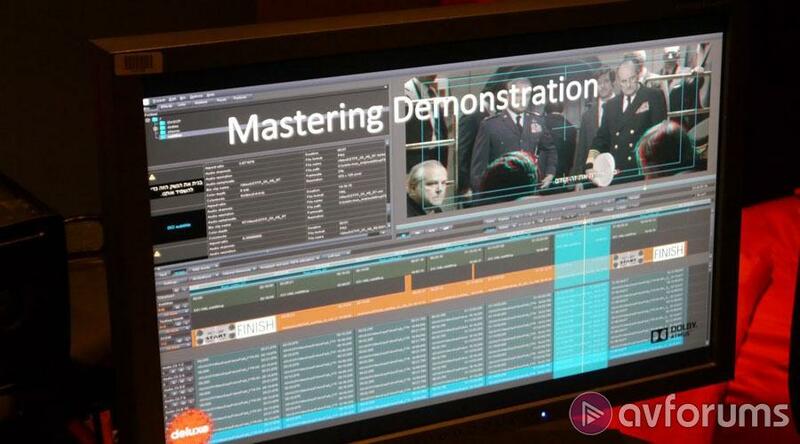 The DCP is screened in a pseudo theatrical environment and checks are performed to ensure the mastering has been completed correctly and common mistakes have not occurred. Checks include the correct assets, sync, language, translation, formatting, colour space and positioning. 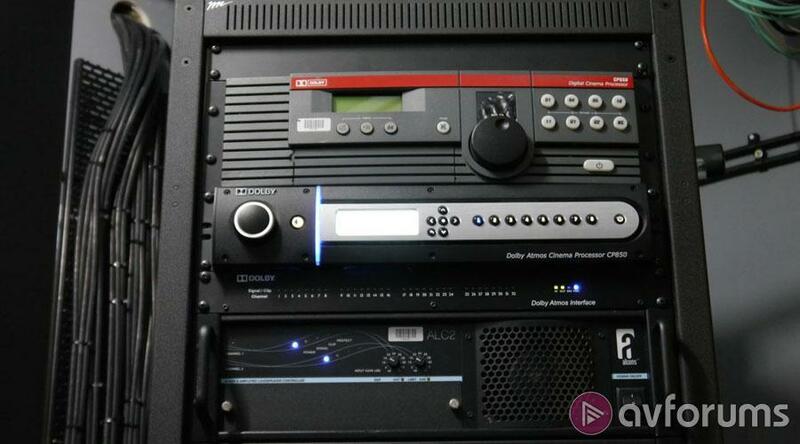 Once the DCP has passed soft QC, it is then screened in a full theatrical environment where the full content check is made and Deluxe ensure that all the assets are compliant with all cinema projection equipment. Each DCP has a key that allows the content to be decrypted for an individual screen for a specified period of time. Since the inception of digital cinema, content has always been distributed on hard disk drives. For distribution of a major film like X-Men: Days of Future Past, a master HDD is created and that is then cloned and validated; these clones are then delivered to the exhibitors. However things are now changing and improvements in transfer rates mean that electronic delivery has become a viable option. In the US the satellite delivery model works well because the same DCP can be broadcast to a large number of sites, whilst in Europe network delivery can work for targeted delivery to a smaller number of sites. The future of distribution will ultimately be network delivery because it’s an end-to-end solution, there’s no reliance on couriers, it’s cheaper, it’s more secure than broadcasting and it is significantly less reliable on fossil fuels.Along with the DCP, the exhibitor will also receive a Key Delivery Message (KDM) which is a small file that is required by the cinema’s server to decrypt any encrypted MXF files within the DCP. Each KDM is specific to one screen in one cinema and is only valid between specified times. When a DCP arrives at a cinema it is ingested into their TMS (Theatre Management System). This has a centralised storage for DCP content and everything that arrives at that cinema is ingested into just one machine. The TMS server is then connected to each of the screen servers and a scheduling program is programmed with the requirements of each screen.Things certainly have changed since the days of running off hundreds of copies on film stock and shipping them out to cinemas in the back of a truck. It’s likely that most people sitting down to watch X-Men: Days of Future Past had no idea how much work went into creating the Digital Cinema Package for their local multiplex. Of course the system isn’t completely foolproof and no matter how perfectly Deluxe Digital do their job, they’re still dependent on the cinema itself to maintain their equipment and train their staff properly. However, it’s good knowing that companies like Deluxe Digital Cinema are doing all they can to ensure our experience at the cinema is perfect – every time.